You guys, I absolutely adore summer. I love the warmth. I love the sunshine. I love riding my bike and going to the pool. And I LOVE that I get 3 months to stay home with my boys! Oh but wait – curve ball. I also just started grad school (for the second time). So, I got my Bachelor’s in Elementary Education and went straight back to school and got my Master’s in Education and Reading Instruction (in 2005 & 2006). 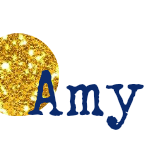 Now after just getting back into the workforce, I’m heading back to school to…drumroll please…be the new school librarian!!!! You guys, I LOVE books almost as much as I love summer, so even though I’m rocking some summer school (I’m the nerd with textbooks at the pool this year) I am so incredibly excited! So let’s celebrate with a cocktail inspired by a book! Today’s recipe comes from an unexpected series. 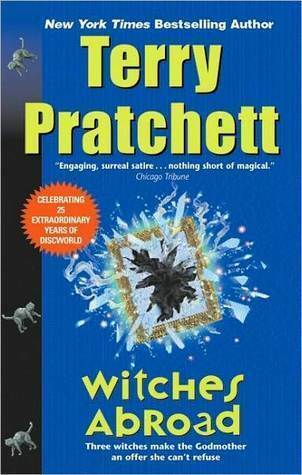 In the major nerd circles, the Discworld series by Terry Pratchett is super popular. The books are quirky, off beat, a little sci-fi, a lot of fantasy, and usually hysterically funny. There are also several sub-series within the series. Because of the sheer volume of books, I’m reading the entire series in order. 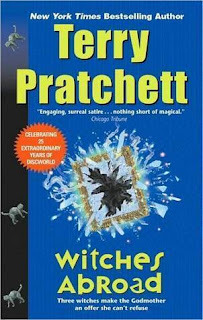 Witches Abroad is #12 in the Discworld Series and #3 in the Witches sub-series. I’m not going to go into a summary of the book here. I started to and then realized that I’d also need to summarize Discworld and the other Witches novels and I just couldn’t, so all I’m going to say it this: try out a Discworld book. Any one should do. So where does my banana daiquiri come in? Discworld is not typically a book known for its food references. Or if it does reference food, it’s not someone would want to replicate. In this book however, 3 old, crotchety witches leave their homes (which they are loathe to do – witches don’t travel) in order to save the world (or are they only doing what was foretold…hmmmmm….) Along the way, Nanny Og enters a bar and asks for something fruity and the bar tender gives her a “banananananana dak’ry” (Nanny Og isn’t known for her spelling skills). Nanny becomes enchanted with the drink and consumes many of them throughout the story. Also it took me much longer than I care to admit to finally figure out what “banana dak’ry” meant, but once I finally got it, I knew I wanted to make it. 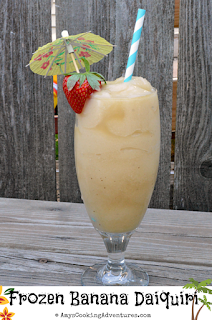 Can I also admit that I’ve never actually had a banana daiquiri before? However,now that I’ve made this one, I totally want to repeat the experience. It was amazing! 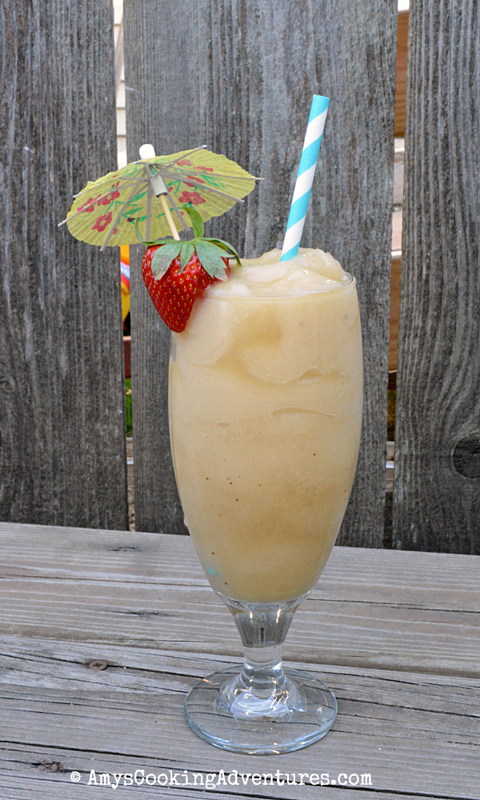 Instead of using a freaky banana liqueur, this recipes relies entirely on frozen bananas. And because I’m too lazy to make simple syrup & squeeze a lime, it also uses sprite. And rum. Don’t forget the rum. 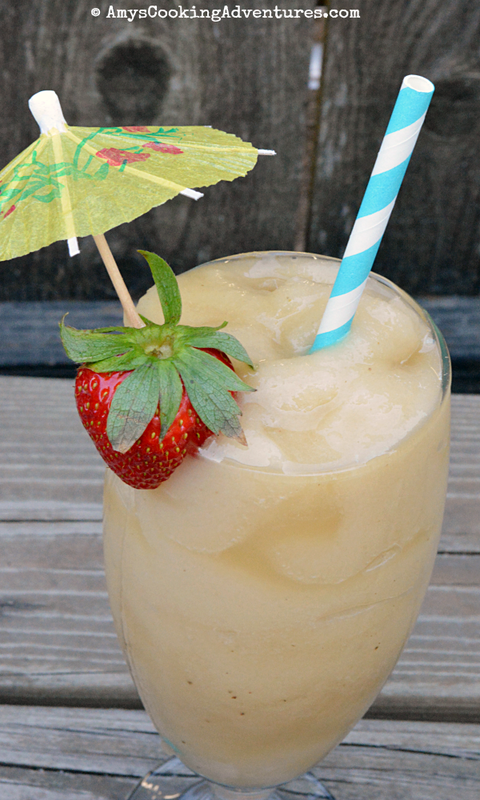 I promise – this will be your go-to summer drink! Place all ingredients in a blender. Blend until smooth. Pour in a tall glass. 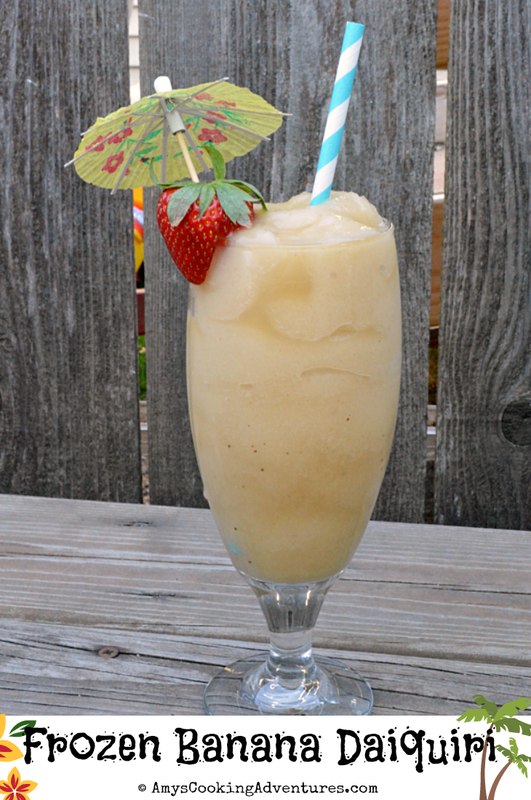 Frozen Banana Daiquiris use real frozen bananas and rum for your go-to summer drink! Place all ingredients in a blender. Blend until smooth. Pour in a tall glass. Enjoy. I'm a huge Discworld fan and I absolutely love the Witches. I want to be Granny Weatherwax when I grow up. Nanny Ogg would be proud of you for drinking alongside her. Now you just need to learn some naughty songs for the singalong. The series sound way off my usual reading circuit, but may be giving it a try. Jumping out of the rut here. And since a friend gave us a cartload of ripe bananas yesterday, I'm going to freeze a bunch. The way will be clear for lots of those lovely daiquiris. Wheeee. I have never heard of these books, but your drink looks divine! Cheers.